I’m pretty simple. What I mean is, I don’t necessarily like putting garland everywhere and covering every tree and bush in our yard with colorful lights. At the same time, there is something to be said for pulling up to a house with beautiful holiday decor and snow on the ground. In summary, I’m looking for a few key items as a foundation for my holiday decorating style. 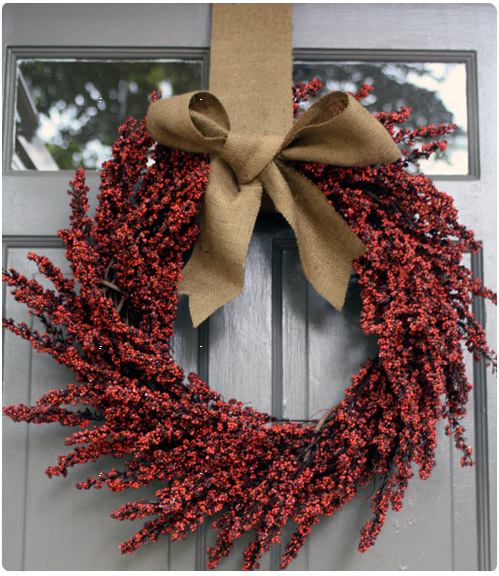 Specifically, I was thinking that a classic, yet festive, wreath would be great for the front door and maybe some simple yard decor too. First I started with a quick google search for some inspiration. I collected a few pictures and saved them in my home renovation Look Book for quick reference. In general, I like these two looks from Pottery Barn the best (below are two photos which I clipped for my Look Book- I based my shopping on these looks). The red, white and silver in the garland and wreaths below match my existing interior color scheme so it would keep things consistent. Plus, buying indoor/outdoor materials would allow me to switch things up over time. I adore the twig trees lining the sidewalk below! These, available at Pottery Barn, cost around $129.99. You can save some money by purchasing the outdoor candle holders and hanging ornaments from a store like Home Goods. 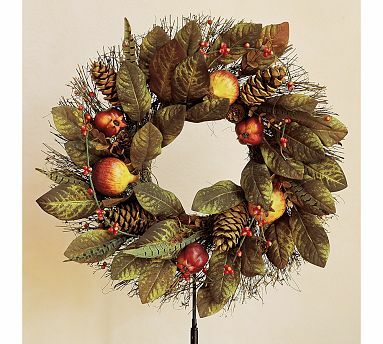 I love this wreath from Pottery Barn but with a price tag of $79.00 it’s just a bit outside my price range. When I searched on Etsy, I found this fruitful option…the rich colors remind me of all that I love about the Fall season and it’s just $45.00. But I think I’m looking for something a bit more holiday specific and not so seasonal. I stumbled upon this homemade berry wreath done by Haute Apple Pie for just $18.00. The elegant burlap bow makes such a big statement. 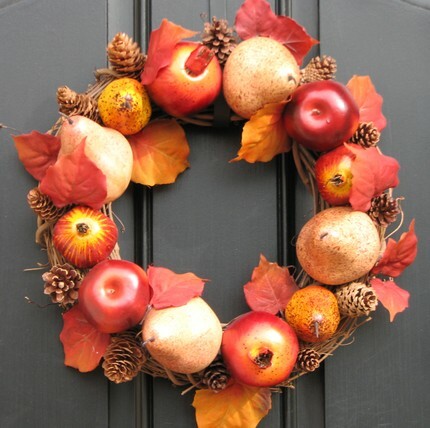 I found more beautiful DIY holiday wreath ideas at Good Housekeeping (instructions provided). I stopped in to Target the other day and found some colorful and affordable holiday decor. I’m kind of obsessed about their wreaths– they have such a wide selection! From berry wreaths to LED Pre-lit wreaths…they pretty much have something for everyone. 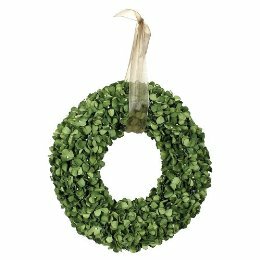 Look at this hydrangea wreath (also available in red) for $39.99! 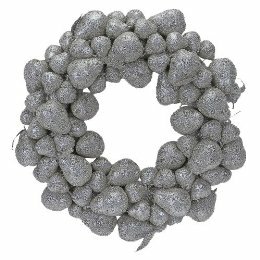 And…how unique is this sparkling winter pear wreath which costs $54.99. Okay, enough with the wreaths. 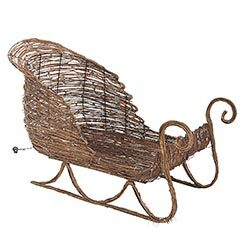 What about this twig sleigh from Pier1 for $129? 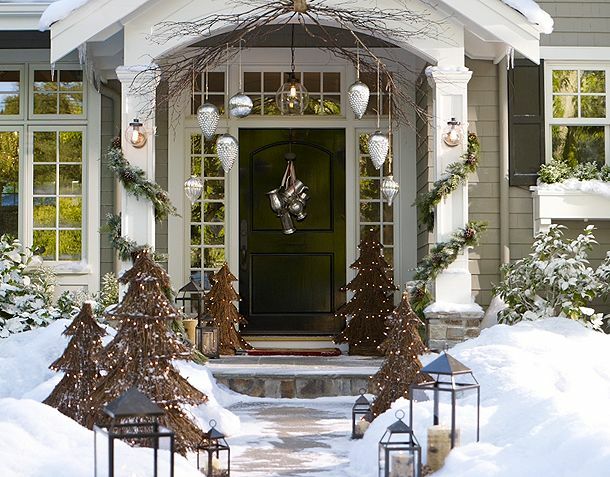 Christmas planters are perfect for creating some balance to your front entryway. Add in some ornaments, lights or sparkle to match your other outdoor decor and you’re all set! You can buy spruce plants etc. at a local garden center for under $30.00 a piece (depending on size of course). I am currently watching “Sarah’s Holiday Party” on HGTV and thought I would post the video here for you to watch yourself in case you missed it. She has some really great holiday decorating ideas and it might help you get started with your look this season. I think I’m going to try her DIY painted pinecones and use them for a centerpiece this holiday. HO! HO! HO! 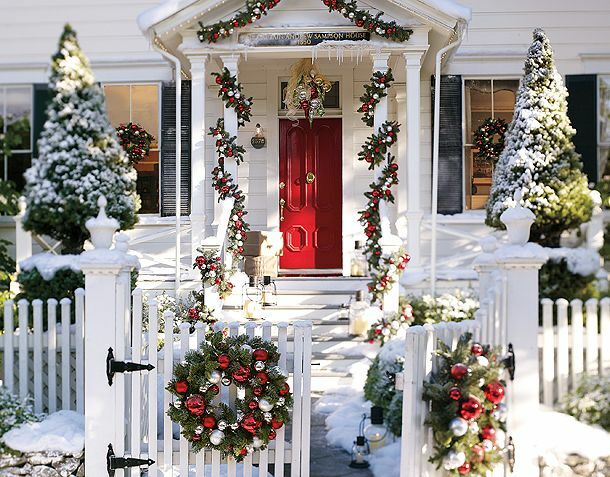 Check out these websites for more holiday decor inspiration and lots and lots of savings! 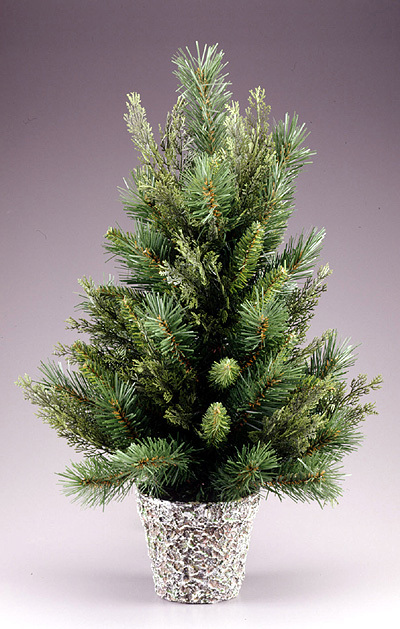 Ballard Designs: Outdoor Topiary Trees, Garland, Wreaths & More! Etsy: Christmas Garland, Candles, Ornaments etc. all at a great price! Lowes: Garland, Wreaths, & Artificial Trees Galore!